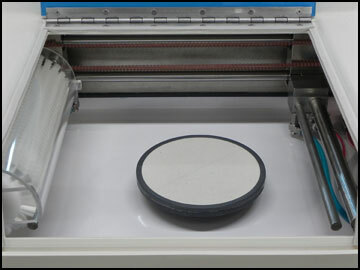 Ultron Systems’ Model UH117 Wafer Cleaning System provides an ideal solution for cleaning wafers after sawing or scribing. Operation is semiautomatic and fully programmable via the new touchscreen LCD panel. Microprocessor control ensures precise, flexible, uniform, and repeatable cleaning. Up to 10 programs can be stored for different processes. Each program may have up to 99 different cleaning/rinsing/drying steps with a maximum of 999 seconds per step. The unit is capable of cleaning wafers up to 8-inches in diameter or up to 6-inches in diameter mounted on a film frame or grip ring. 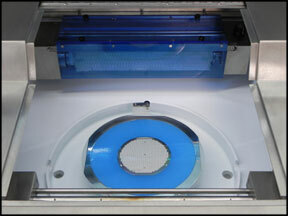 An optional liquid additive injection feature is available to facilitate the cleaning cycles. 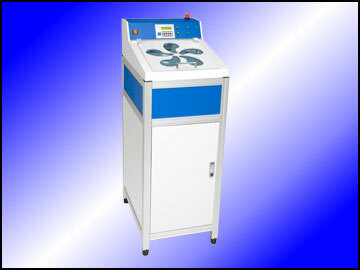 Both hot and cool dry modes are available for faster, more efficient drying. 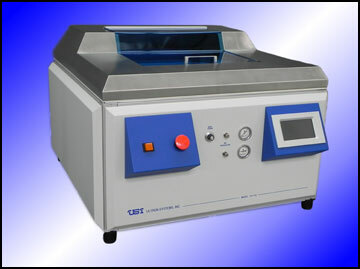 The Model UH118 Wafer Cleaning System provides an optimal solution for cleaning wafers after dicing or scribing. Capable of cleaning either 12″ or 8″ (film frame mounted) wafers semiautomatically, the UH118 is fully programmable via a touchscreen LCD panel, eliminating operator variables. 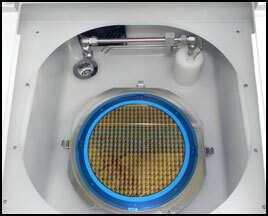 The Model UH119 Semiautomatic Wafer Cleaning System is Ultron Systems’ latest design in quality wafer cleaning operations. Designed primarily for post-dicing applications, the UH119’s non-contact cleaning ability utilizes a variable-cycle, high pressure wash for highly efficient, fast, and exceptional wafer cleaning. Operation is extremely easy, thanks to an intelligent menu designed to eliminate any operator error. 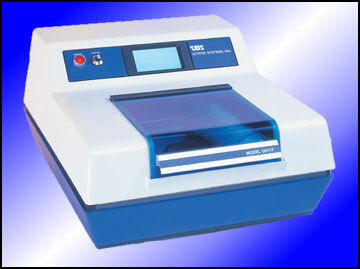 Fast and efficient cleaning is optimized through microprocessor-controlled, fully-user-programmable sequences. Up to 9 programs can be stored for repeatability. The Model UH119 is brushless, and cleans without any direct contact to the wafer by incorporating a high-pressure power wash to remove all post-dicing debris. A unique feature of the Model UH119 is the ability to modify the cleaning “offset” of the wafer by up to 5° on each axis. This allows precision cleaning of the wafer, even if it isn’t perfectly centered.Ultron Systems’ Model UH119 High-pressure Wafer Cleaning System: An unmistakeable and intelligent choice for highly flexible, efficient, uniform, and repeatable semiautomatic wafer cleaning.